Click to browse guide online. Browse the Gallery GUide ONLINE OR READ about each gallery below. 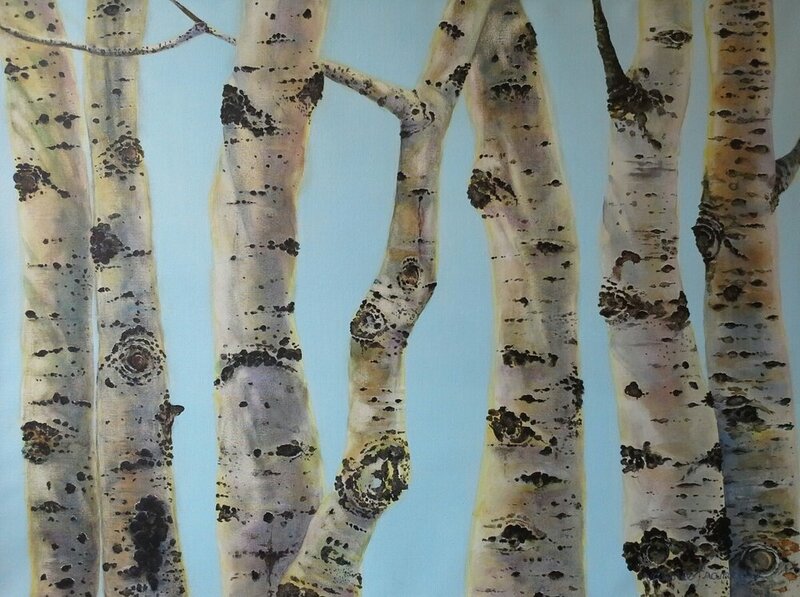 FIND OUT MORE ABOUT TELLURIDE ART WALK ON FIRST THURSDAYS. Participating venues host receptions from 5pm-8pm on first Thursdays to introduce their new exhibitions and artists. Our free Gallery Guide offers a self-guided tour that can be used at any time. Gallery Guides are available at participating venues. Founded in 1993 by Tini Miura, Einen Miura and Daniel Tucker, the American Academy of Bookbinding is an internationally known degree-oriented bookbinding school that offers book enthusiasts of all levels the opportunity to initiate and improve their skills in a generous and supportive learning environment. The Academy conducts intensive courses in the fine art of leather binding, book restoration, repair, preservation practices and related subjects. The goal of the Academy is to provide a level of excellence in bookbinding education. Go to American Academy of Bookbinding site. The AZADI Fine Rugs story begins with rich history, passion and delight in working with clients and the design industry to transform each idea and vision into A Foundation In Fine Living™. This foundation spans over two centuries of providing exquisite handwoven rugs and a selection with unrivaled personal service. From antique to contemporary, tribal to elegant, transitional to modern – as well as custom designs – we have handwoven rugs to inspire and delight you. The sweet aroma of baking bread beckons each passerby as they near this longtime fixture of the Telluride dining scene. Baked in Telluride incorporates a colorful gallery into their dining room, presenting student artwork from the Ah Haa School for the Arts. Since 1974, Between the Covers has been a Telluride tradition for both locals and visitors. With over 10,000 books, maps, and cards, plus 100s of magazine titles, a bustling children’s section and events calendar, this bookstore is a creaky-floored busy haven. The gallery exhibits regional and international artists, colored gemstones, diamond jewelry and local Telluride charms. Contemporary Telluride. Solo and group exhibits change monthly. A project of Telluride Arts. From custom made furniture and fine rugs to stunning local photographs and custom jewelry, Gold Mountain Gallery offers everything from décor staples to those final touches that make each room unique. Also offering full service interior design consultation. Owned by locals Mark and Jessica Goldberg. Kamruz Gallery represents local artists and features photography by Mary Kamruz that captures the spirit of Telluride. Full service printing shop with gallery featuring paintings and photographs by long term local artist Lawrence Giles. Lustre Gallery is home to beautiful works of art, both for home and self. From finely crafted furniture to decorative sculptures, vessels and wall art, to gorgeous hand painted chandeliers and light fixtures by renowned artist Ulla Darni - any environment can be transformed into a treasured space. And for the individual, Lustre features the raw elegance of colored diamonds by Todd Reed, Art Nouveau designs of Masriera and the pure gold elegance of Gurhan. MiXX projects + atelier is an art gallery, lifestyle boutique, and collaborative space featuring emerging creativity, artisan home products, and inventive jewelry. Their evolving space shows art like a gallery, is a gathering place for happenings, and presents a collection of inspired and functional art. Nectar Arts is Telluride’s newest art gallery operated by Melissa Friedman and featuring local artists and jewelers. Located upstairs in the nugget building. Picaya is the ideal environment to furnish any home, find the perfect gift for every occasion or treat yourself to something special. The more you explore, the more you’ll discover! Picaya specializes in locally made, fair trade, eco friendly and recycled products. A fine art gallery in Mountain Village featuring the abstract paintings of artist Margaret Rinkevich. 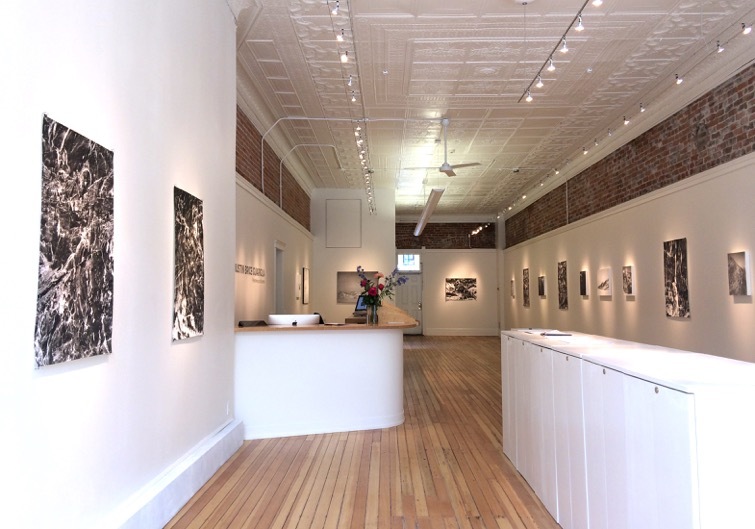 The headquarters for Telluride Arts includes a space for contemporary art and gatherings. Located at 135 West Pacific Avenue, right across from the Library, the gallery is a bright, light, welcoming space that is home to new exhibits monthly, a small shop, and the offices for the non profit organization. The Telluride Farmers' Market takes place on South Oak Street every Friday from June 6-October 10 from 11:00 am to 4:00 pm. The market features organic fruits and vegetables, pasture raised meats, eggs, and cheese, artisan bread and baked goods, an array of delicious concessions and expert locally made crafts. All products are grown or created within 100 miles of Telluride. The Telluride Gallery of Fine Art is the region's oldest established gallery. Its engaging balance of exhibited works includes those of contemporary American artists, internationally renowned sculptors, painters, and photographers, as well as local and regional artists. The gallery also showcases an eclectic and extensive studio jewelry collection, many of whom are a part of the avant-garde jewelry movement. Family owned and operated since it’s establishment, Telluride Music Company began as Sheridan Music in 1992. Today, Telluride Music Company is proud to offer one of the finest selections of quality new, used and vintage string instruments that can be found anywhere. Tony Newlin strives to present amazing and authentic portraits of nature. Ranging from the mountains and aspen trees around Telluride to the brown bears of Alaska, Tony’s images strive to capture wilderness in unique and inspiring moments. Images are available in a variety of sizes and finish options. The gallery also showcases the function art of accomplished sculptor Jim Viona. We look forward to seeing you and sharing these beautiful pieces of art with you. The Turquoise Door Gallery presents original photography by Robert J. Franzese and original paintings by Valerie Levy Franzese, along with original works and prints by several other fine artists. The Turquoise Door Gallery is located at 226 West Colorado Ave.
A program of Telluride Arts, The Voodoo Studios provide affordable studio spaces to professional working artists. Owned by the Town of Telluride, and operated by Telluride Arts. Studios are available to rent on a first-come, first-serve basis. If you are interested in seeing the spaces, or would like more information, please contact info@telluridearts.org.